Prepare to be Moved!...Special Financing Availableâ¦ Into this lovely ranch in Sheffield Lake with brand new carpet in Living Room, Dining Room & Bedroom! All the big ticket items are done in this easy one floor living, 3 bedroom / 1 bath home. Step into the large living room with picture window bringing in loads of light! New carpet added in 2019! Plenty of storage in the eat-in kitchen, which leads to the oversized laundry room with plenty of closet space and access to the back yard! Three bedrooms (all with ceiling fans) share the full bath. Fenced yard is perfect for pets & kids to run! Updates include newer windows (2015), roof (2015) and updated front & back doors (2015). Refrigerator, washer & dryer were all replaced in 2015. All appliances stay! 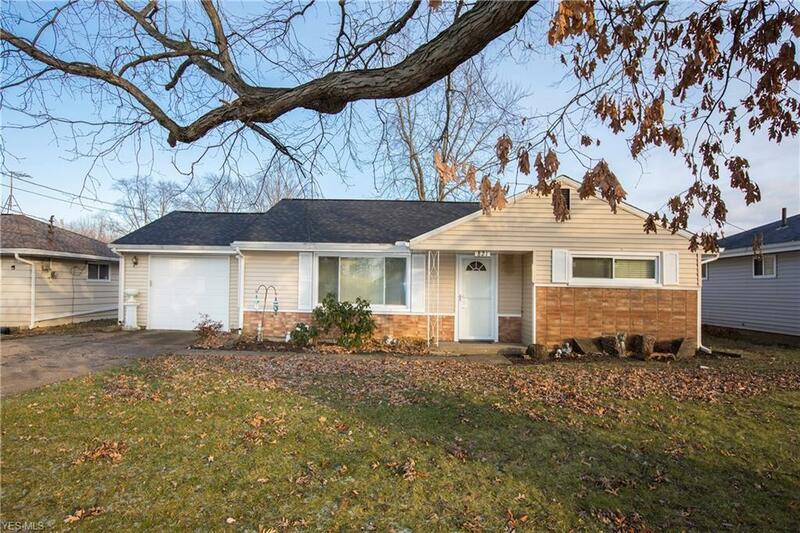 Located only 2 blocks from Lake Erie and the community boat launch. This home has a lot of potential; just needs some TLC to make this your Home Sweet Home! Come see it today!